Coun. Jeff Browaty wants to ask voters whether they want Winnipeg's most famous intersection opened to foot traffic. 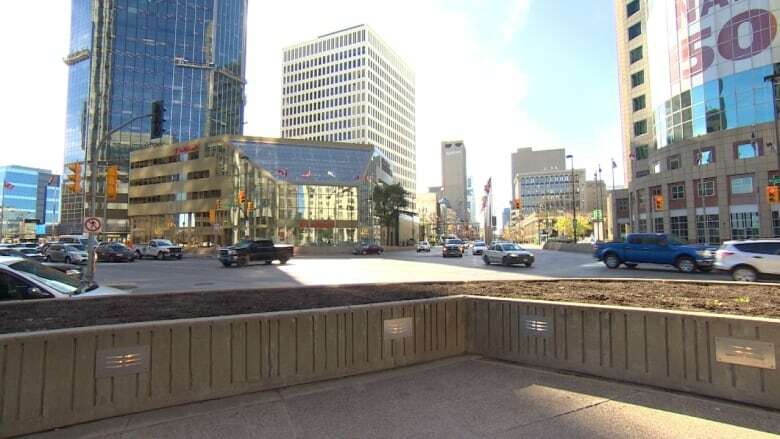 A Winnipeg city councillor wants to put the question of opening Portage and Main to foot traffic on the next municipal election ballot. North Kildonan Coun. Jeff Browaty introduced the motion Thursday. It was seconded by Coun. Janice Lukes. The motion says there is "strong interest" among Winnipeggers for "a fulsome debate and to have a say" on allowing pedestrian crossings at Portage and Main. While a promise to reopen the intersection to pedestrians was part of Brian Bowman's successful 2014 mayoral campaign, Browaty said people voted for him for a range of reasons. 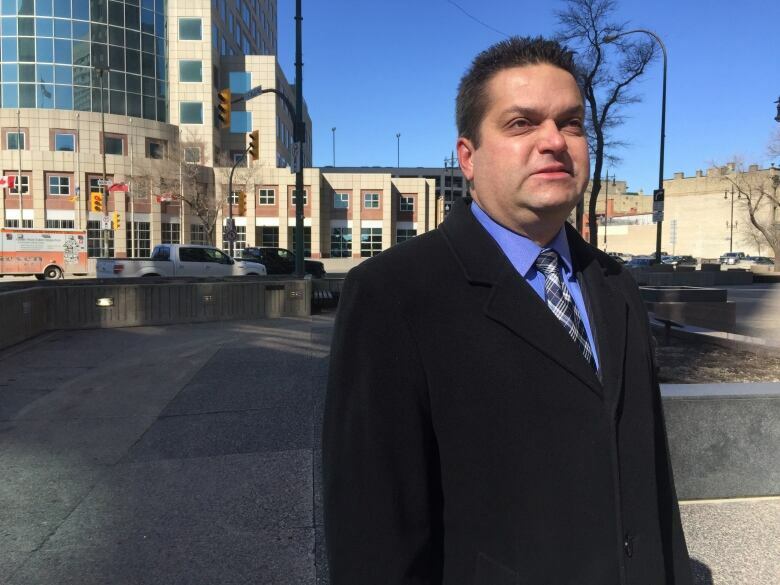 Reopening Portage and Main has not had a "real debate," he said. Browaty himself said he voted for Bowman in 2014, even though he disagreed with his plan to bring pedestrian traffic back to Portage and Main. "I've been against this going back to when [Sam] Katz was mayor," said Browaty. 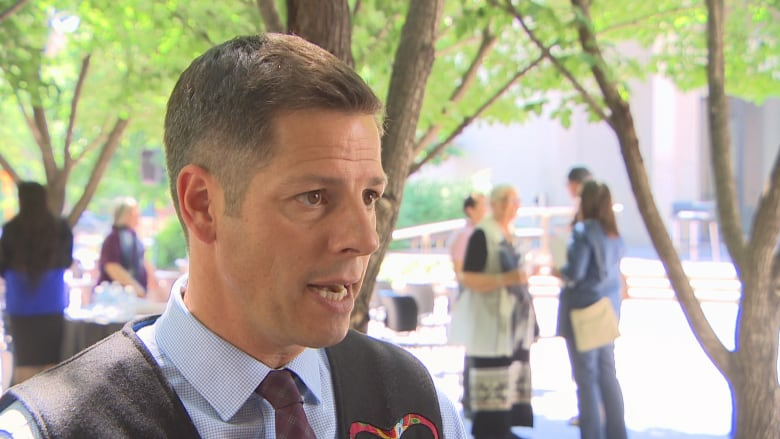 Bowman said the motion will be considered at the executive policy committee but regardless of whether he and his inner circle support it, it will be voted on at city council in July. The mayor said he is still undecided whether he will support Browaty's motion to add a question about opening Portage and Main on the next ballot, but he did issue a challenge to the councillor. "Coun. Browaty has openly mused about running for mayor and I would encourage him — in fact, I would urge him — to have the courage of your convictions to not simply hide behind a plebiscite, but put your name on the ballot," Bowman said. "In doing so, you have to stand for more than one issue. You have to talk about what you're going to do to move this city forward, so I've encouraged him to run for mayor." Browaty would not say Thursday whether he is planning to run for mayor in the fall. If approved by council in July, the yes-or-no question of whether voters support the opening of Portage and Main to pedestrian crossings would be added to the municipal election ballot Oct. 24. The result of the ballot question would not be binding but would rather be received as information by council, a spokesperson for the city said. Even though the results would be non-binding, Browaty said his hope is that if there is a vote on the idea, the city "will never have to discuss this again." The intersection has been closed to foot traffic since 1979. The city's public service is currently asking for proposals from consultants to bid on an opportunity to create a design vision for Winnipeg's iconic intersection that includes pedestrian crosswalks. The city plans to open the first of four pedestrian crossings within the next 18 months.